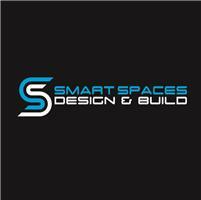 Smart Spaces Design And Build - Bathrooms, Bedrooms, Electrician, Kitchens based in Bracknell, Berkshire. With over 15 years experience in all aspects of home improvement and renovation Smart Spaces Design and Build can provide you with all your kitchen, bathroom, bedroom or home office design and installation needs. We pride ourselves on providing a professional, reliable and friendly service to ensure our customers are satisfied throughout the scope of their project however large or small. We offer a complete design and fully project managed installation service for kitchens, bathrooms, bedrooms and home offices. We are also a fully accredited member of the National Association of Professional Inspectors and Testers (NAPIT) which means all electrical work is Part P certified and we offer a maintenance service to take care of any smaller jobs and call outs. Our highly experienced, professional team of installers and tradesmen will ensure that they are as efficient, tidy and timely as possible and that you are delighted with the end result. Our specialist installers have many years experience and can cover all aspects including carpentry, electrical, plumbing, gas, tiling, flooring and plastering. We are particularly proud of the quality of our installations and the workmanship and attention to detail.